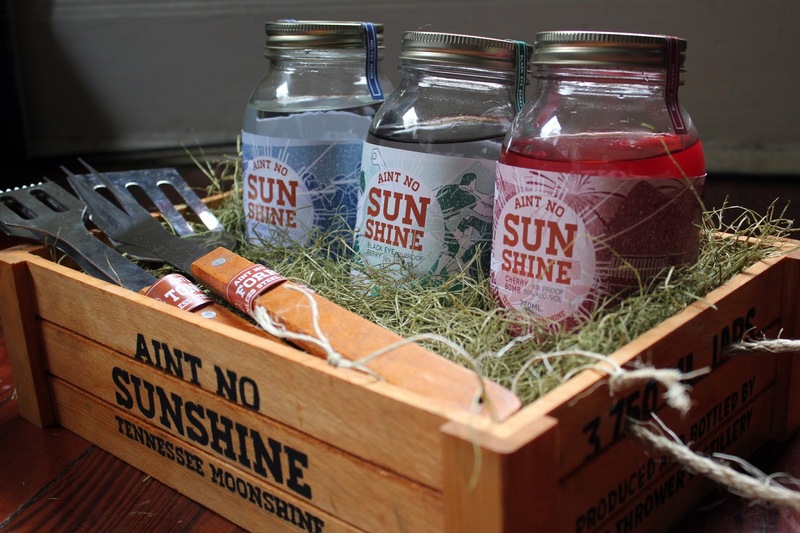 This concept is all about the moonshining life. 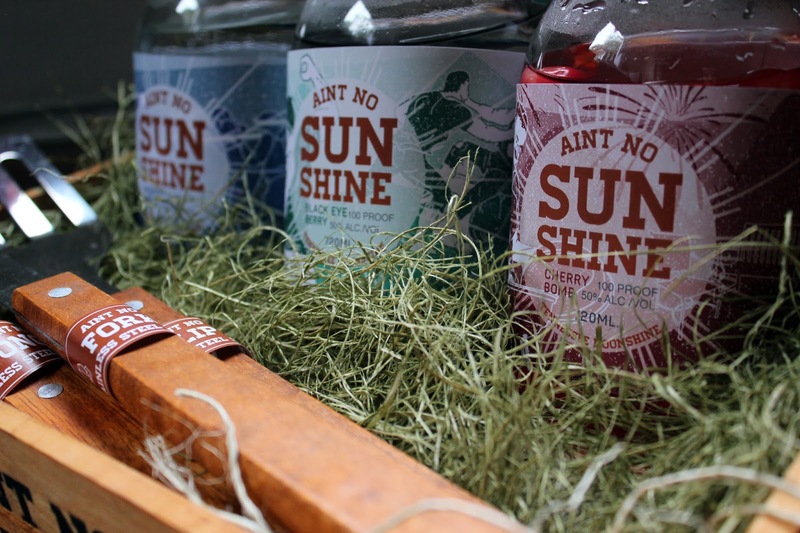 Absolutely, you could say that moonshiners are anarchists, they didn’t (and still don’t) listen to rules and what the government said and lived their own way. It was not uncommon for gun fights to break out between the moonshiners and the revenuers. Besides having to the be concerned with having their shine discovered, they were always down to crack open a bottle and have a great time. 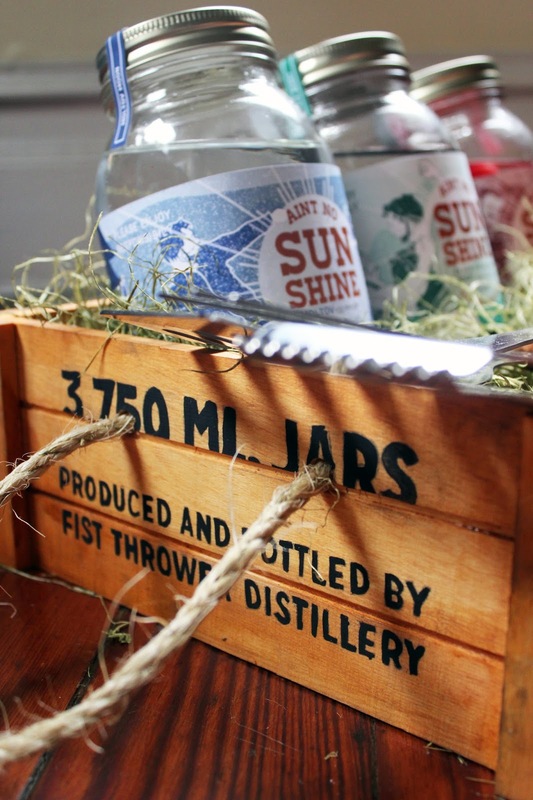 They fought to keep the moonshine tradition alive which is a big part of our American history. 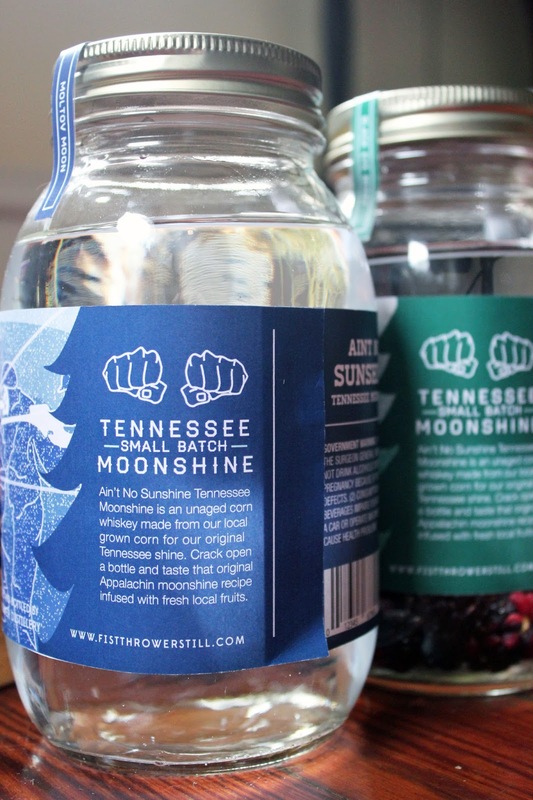 Moonshining was not a fun hobby for most, it was a way of life. It was a way to keep you and your family alive, because it brought in good money. 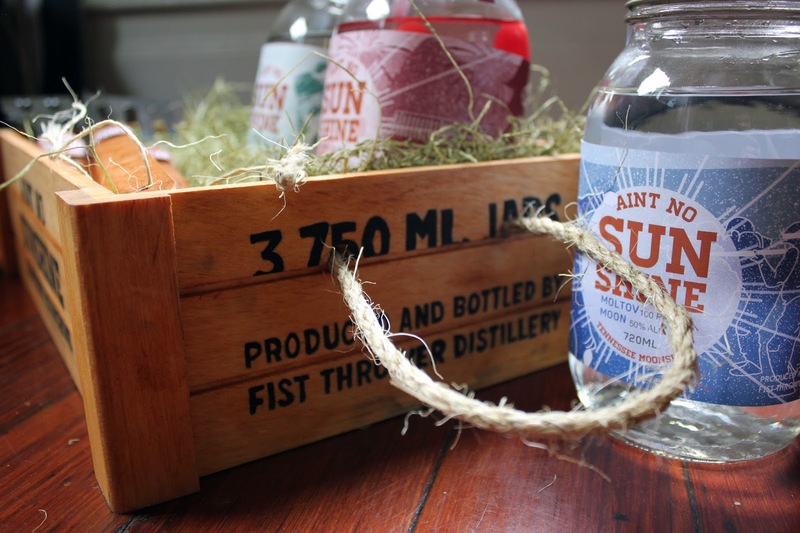 When no legal alcohol was available at all, the sale of moonshine sky rocketed. 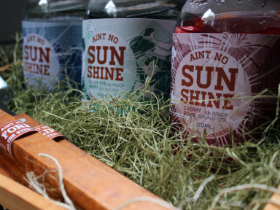 Though the sales of shine went down when they repealed the prohibition, shiners kept at it and the tradition is still alive today. On the moonshine labels they are depicted as strong fighters rather than incoherent drunks, like most people think of them. 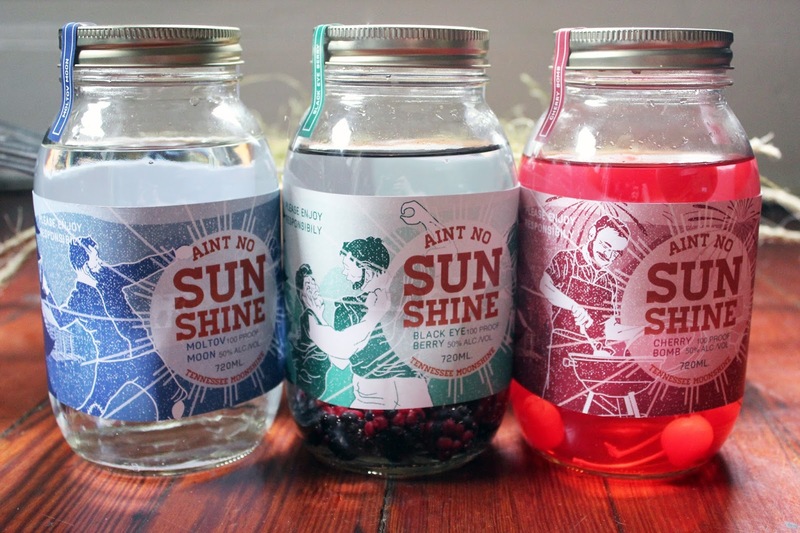 The moonshine labels act as an illustrated story from bottle to bottle, starting with people of authority coming to fight them, and ending with a cook out celebration. 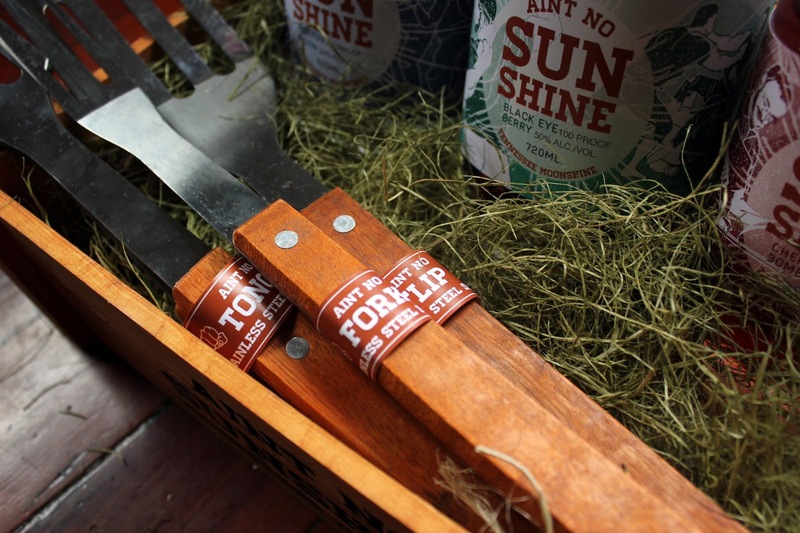 The bottles are held in a wooden crate complete with grilling utensils, the perfect summer gift. 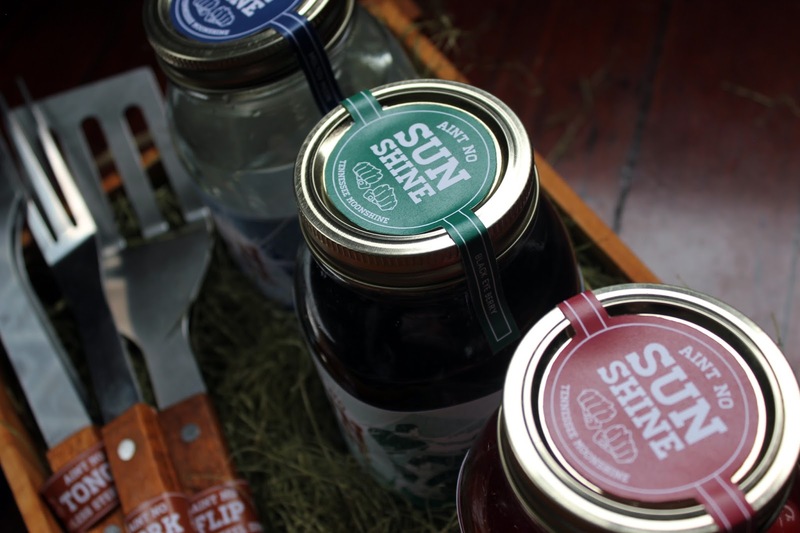 This packaging is unique because each bottle depicts part of the overall story.